The Advanced Economic State Of Cannabis, the first of a series of conferences titled Green Market Summit, is a one-day event hosted by the industry’s premier financial news organization the Green Market Report (GMR). This event is being sponsored by TheStreet and located in the Financial District of New York City. The event will take place on Friday September 14, 2018. 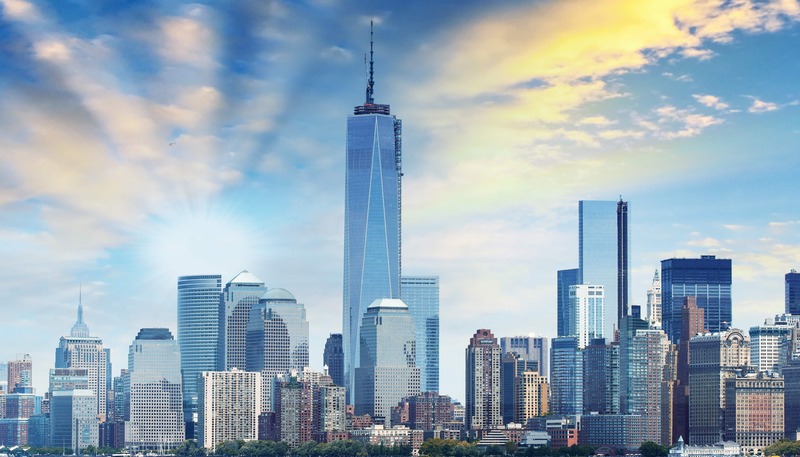 The event will be located at One World Trade Center, the main building of the rebuilt World Trade Center that was destroyed on September 11, 2001. The location was chosen in order to pay tribute to the many losses that the financial community, district and city as a whole endured on that tragic day, which occurred just a few days prior to this event. The Green Market Summit will be donating a portion of the proceeds in ticket sales to the 9/11 Memorial & Museum. This is the first event hosted by the Green Market Report and it coincides with the one year anniversary of the news site's launch. The keynote speaker is TheStreet's Jim Cramer who will interview the new CEO of The Green Organic Dutchman Brian Athaide. Exclusive data and economic analysis will be unveiled throughout the day with a focus on 5 key sectors of the industry. Data and insight will be provided by our official event data partners that include deep dives into the big data and analytics driving the industry, as well as experiential trend observations from the industry's leading business and economic minds. GMR is partnered with the Marijuana Policy Group for the final economic analysis and reporting that will be presented during the summit. The audience will include investors and institutional players from throughout Wall Street and the business community around the globe. The attendees will gain exclusive insight about the economic landscape of each sector as well as afforded the opportunity to speak with the data providers and reporting companies directly. The Green Market Summit is meant to bring together the most respected companies, brands and executives, yielding the most experience and knowledge available in the industry. This forum is designed to help network the most powerful operators, the most up-to-date information and the best practices to facilitate the exchange of valuable data and market developments to improve investment decision making and business strategy. The event space boasts spectacular views of the Statue of Liberty and the Hudson River. It is also blocks from the New York Stock Exchange and Manhattan’s Financial District. Speakers and presenters have been carefully selected for their contribution to the industry and the special value each of their insights bring to the conversation. 4:00-4:50 - Closing Panel - KCSA Lewis Goldberg interviews author Danny Moses, Moses Ventures, formerly head trader at Frontpoint Traders made famous in the book and movie, "The Big Short." 5:30-7:30 - Anniversary Party available to the first 150 people to RSVP.